The products are also ideal for cleaning & protecting leather car interiors, leather furniture, leather handbags, clothes, shoes, equestrian leather, motor bike leathers – pretty much any item made from leather! Added barrier protection technology in the cream allows the leather to repel oil and water based stains, retaining them on the surface so the leather can be easily wiped clean. The photo on the right shows how the Leather Protection Cream has caused the liquid to bead up on the surface preventing it causing a stain. Not only that but it makes the leather easier to clean in the future. How? because it stops dirt from being absorbed or becoming ingrained in the leather allowing you to wipe it off easily. Modern Leather - Why this product is ideal for it! 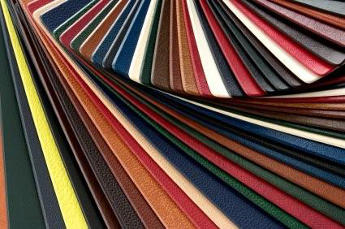 - Most leather sold in shops and in all car interiors has a pigmented finish on it. What this means is that the leather is painted and then sealed with a lacquer. It is impossible to feed the leather because you cannot breach the surface and so the oils and waxes can't soak in. In these cases it is not the leather that is drying out and cracking but the pigment on the surface. So it is pointless using a leather conditioner on such leathers, you need a product that protects the finish. The leather protection cream adds a protective layer to the leather that will protect the finish from all wear, tear and heat. Clean the leather first with the Leather Ultra Clean and the soft sponge provided with the kit, do this even if the leather is new. 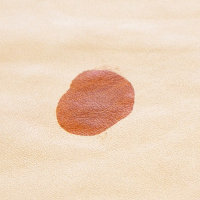 Apply the Leather Protection Cream using the soft cloth and rub into the leather in a circular motion. Re-apply the Protection Cream every 3 months thereafter for thorough year round protection. The beauty of doing this is that your leather will never be difficult to clean again, all you will need to do is wipe it down with a damp cloth every once in a while. This is definitely worth doing if you have children or you have an absorbent type of leather like aniline or pull up. Our system will make your leather last longer, greatly prolonging its life span. For general care, just apply the product twice a year. With this offer (250ml of each product) you will be able to clean a three piece suite and protect it 3 times! The product goes a long way and should be used sparingly. The Leather Care Kit could clean and protect a large car 5 times! Both products are specially treated to resist bacterial growth and will safely last 3 years if stored in a cool cupboard with the lids fastened. Practical Classics Car Magazine tested 8 Leather Cleaners & Care Kits to see how well they cleaned and softened an old classic car interior. 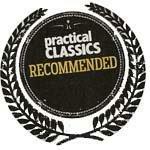 Our Kit came out with a 'Practical Classics Recommendation' beating some big names. Hi I have just received my Leather Care Kit delivery and OMG, i have (or should i say HAD), a very dirty white leather corner sofa. Words cannot describe how happy i am with this product. This product is BRILLIANT and i would highly recommend to anyone. Infact i will recommend to all my Facebook friends and all the forums i am with (which is a fair few) Thankyou so much for this product you have saved me ££££££ from buying a new suite.